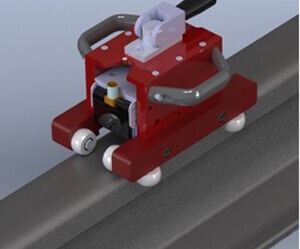 Used to detect brake burns and cracks on the top of the rail in the areas where conventional ultrasonic inspection is not possible or practical (top and curved sides of the head). Reflection technique permits inspecting the top of the rail. Detects laminations and cracks as small as 2mm deep (0.080”). 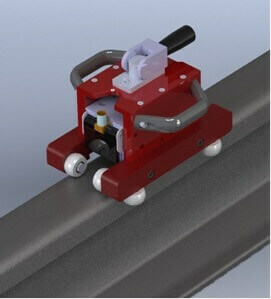 Manual and automated solutions available.